A weekend women's retreat to remember, embrace, and empower your Inner Magic! Discover that you are the one you have been waiting for and that everything you seek is already within you. Join in community with other women for a weekend of yoga, meditation, creativity, enjoyment, relaxation, nourishment, and being fully present and in awe of your Inner Magic! Make your own retreat weekend by attending the included workshops, add on a Reiki training, get a massage, or create quiet space in your schedule to retreat, relax, read, nap, or explore! Daily classes, activities, and workshops will be provided and scheduled. Every offering is optional! This is your weekend - give yourself the gift of choosing what is right for you. Remember that you have all of the magic you seek inside of yourself! There is abundant love, energy, passion, and strength within you. Come remember and reconnect with the innate peace, creativity, passion, and purpose inside of you. Remember your magic and express love for your body and mind with daily yoga, meditation, and breathing practices. All levels of experience, bodies, and abilities are welcome! Remember the magic of nature is within and all around you. Find connection to earth magic through a walking meditation around the Heaven & Earth Retreats property. Receive a special self-care gift curated by Sarah and Grateful Body. Learn about Ayurveda-inspired self-love techniques, and take these practices and gift home with you. Embrace your creative magic and intuitive power. Tap into your creative and free side with a guided macrame workshop with Chelsa Sullivan, a Colorado based artist. Find inspiration and peace in this meditative practice. Take home your artwork as a reminder of your inner magic. Check out Chelsa's impressive work at Midnight Soul Designs. Embrace your inner Goddess through organic movements in an ecstatic dance workshop. You will be lovingly guided and encouraged to be free and explore your inner magic through movement. Awaken your intuitive power and awaken magic within you with Reiki Level 1 Ceremony & Training. Reiki is a hands-on relaxation technique used to create harmony, balance, peace, and deep rest in the physical and energetic bodies. Learn how to give Reiki to yourself and others. Become a certified Level 1 Practitioner and add this into your professional offerings! This training is not included in the retreat tuition. It is an additional $80.00 fee. Empower your inner magic by nourishing your body with freshly prepared organic meals intentionally crafted to nourish mind, body and spirit your entire stay. Expect organic, whole, nutrient dense food free of gluten and sugar, and largely free of dairy. Empower and utilize your inner magic by clarifying goals, remembering you purpose, igniting your passion, and setting intentions. Create a Vision board to help you get clear on your path and what ignites your passions. What do you want more of in your life? What limitations or boundaries hold you back - and how can you move forward with more strength, power, and ease? Through meditation and life coaching, leave the weekend with more clarity on where you are headed. Empower that inner magic! Set intentions for your home-based self-care, self-love, and Inner Magic routine. 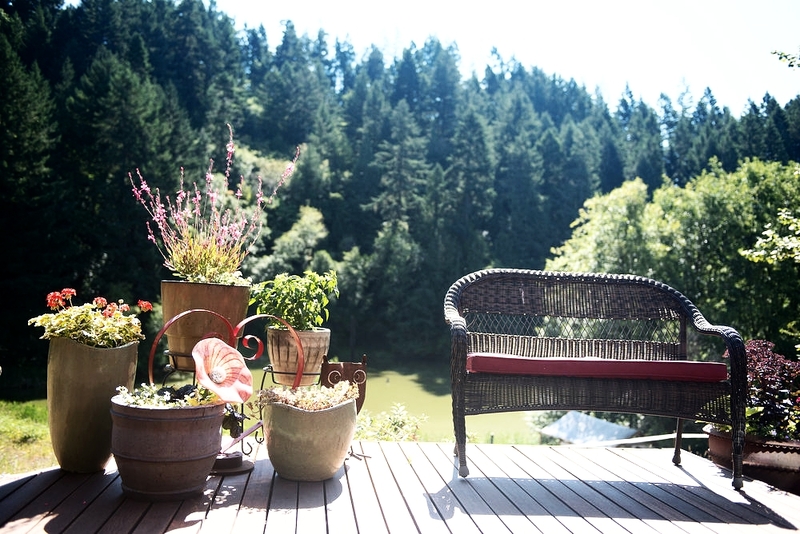 40 minutes outside of Portland, OR lies 5 acres of pristine nature surrounded by coastal mountains. At Heaven & Earth Retreats, you will find creative indoor and outdoor spaces mindfully designed for magical connection and community, or the solitude you might be seeking. The retreat is limited to 10 individuals total in both private and shared rooms, all sharing 2 lovely bathrooms. Feel at-home, pampered, and relaxed in this intimate, country setting. Outdoor amenities include a hot tub, two in ground fire pits, 3 table top fire settings, multiple outdoor seating areas and reading nooks, meditative gardens, walking paths, horseshoes, sand volleyball and a soccer net on an expansive grass field. Bird watching, small wildlife and the occasional deer add to the idyllic charm of the property. There are two outdoor yoga spaces. The west facing 900 square foot yoga deck, as well as the 900 square foot restored yoga barn. Blankets, blocks and meditation cushions provided. Bring your own yoga mat. Ruthanne will be our host and care for us with love. She created Heaven and Earth retreats out of her own personal experiences of awakening and that everything we need is within, if you just listen to the quiet beauty that is you. Reminder: All offered activities, classes, and workshops are optional! Please take care of yourself and decide how you wish to spend your time. This retreat is all about YOU nurturing yourself and discovering your Inner Magic. Registration opens on April 15, 2018! Add-ons such as massage, shopping, taxis, etc. Taxes and fees associated with PayPal, transfers, etc.